Wanda Gail Hales, 62, of Cleveland, Texas passed away on Monday, May 14, 2018. She was born on Friday, November 4, 1955 in, Houston, Texas, to Bobby Lee and Dorothy, both of whom have preceded her in death. 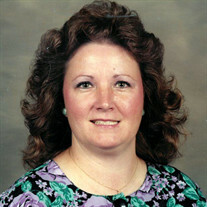 Wanda Gail was also preceded in death by her spouse, Larry Ray Hales and brother Rusty. Left to cherish her memory is her loving sons, Cameron and wife Katie, Jeff and wife Brooke, Joe and wife Jessica; brothers, Bobby, Jr., Glenn; sisters, Wynonia, Joyce, Mary Ann, Candy and Cathy; grandchildren, Beaux, Wade, Gavin, Colby, Connor, Cayden, Brody, Sara and Ryder; along with numerous other loving family and treasured friends. Visitation for Wanda Gail will be held at Neal Funeral Home on Thursday, May 17, 2018, from 6:00 p.m. to 8:00 p.m. Funeral Services for Wanda Gail will be held at Neal Funeral Home on Friday, May 18, 2018, at 10 a.m.